Cat! I’m so excited! Congratulations on your blog and book. I am inspired by all the stories. I look forward to celebrating on Thursday. 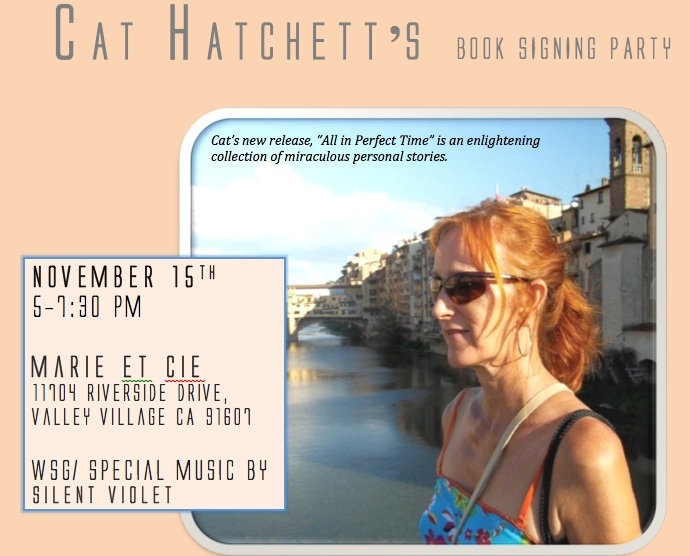 The book signing will definitely be a creative event with live entertainment! Thank you for your love and support, Shelene. I just want to mention I’m all new to weblog and truly enjoyed your web page. Most likely I’m likely to bookmark your site . You amazingly have superb writings. Thanks for sharing with us your website page. Thank you for following my new blog! Check out my latest book at http://outskirtspress.com/allinperfecttime.